As the music, the art is another indispensable part of a game in order to create magical worlds and awesome characters, weapons, skins… But all of these parts have to be coherent to achieve a complete immersion, that makes you feel inside of that world. That’s why concept art exists. This form of illustration captures the essence of a character, a place, even the mood of the game. This part of the development is essencial, and it will be taken as the guideline to develop the game. 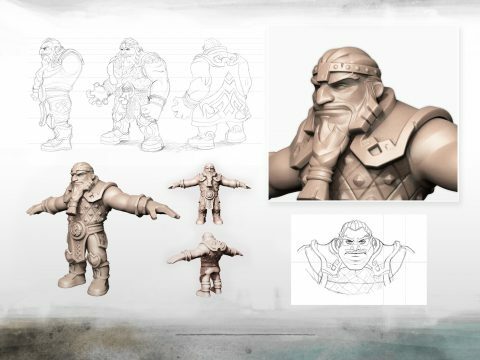 We can see a lot of references to Tolkien’s dwarfs in the the main character of Dungeon Legends. Fantastic beings, smaller than the humans, corpulent and robust with a bushy beard. 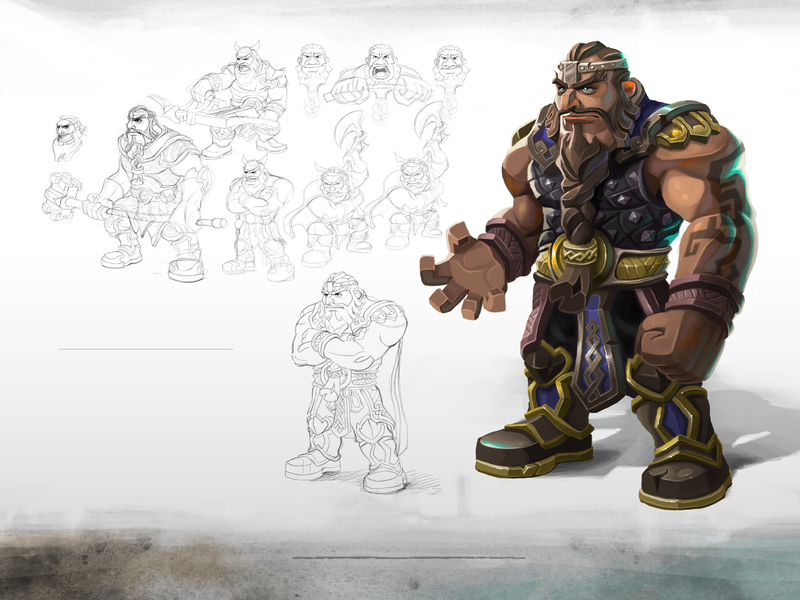 This dwarfs are very good at mining, and they forge their own weapons, and armors. That’s why the blacksmith is a dwarf in Dungeon Legends. If you take a deeper look, there are differences between the first draws and the final result. Only a small part of what artists paint is used in the 3D models. 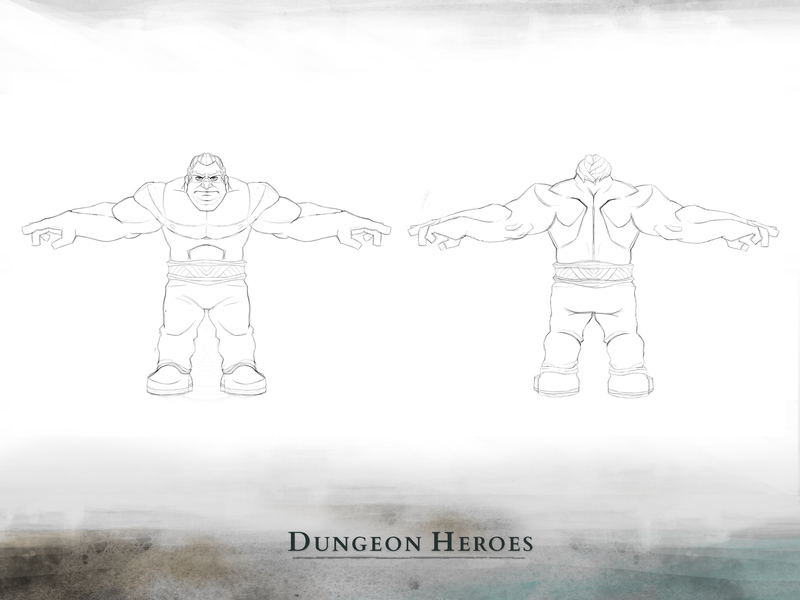 In fact, for each model of character, there are a lot of concepts, tests, and variations. Furthermore, a concept goes through individual stages, with different people evaluating the concept. 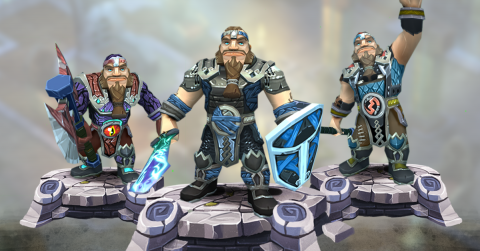 The final result is a character who make us live awesome adventures, fight with powerful armors and have fun with our friends. 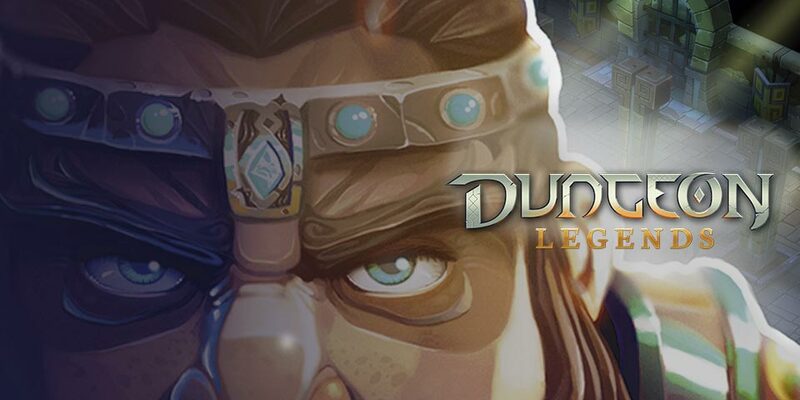 Stay tuned for next posts about the development of Dungeon Legends!